After disputes between British and German merchants (1883-1884), German Reichskommissar GUSTAV NACHTIGAL in 1884 obtained a treaty from local chiefs; a German PROTECTORATE was proclaimed, which received international recognition at the BERLIN CONFERENCE of 1884/1885. An expedition into the interior was undertaken, slavery outlawed. The seat of administration was first at BAGIDA (until 1886), then SEBBE, since 1897 LOME. The colony was named TOGOLAND until 1905, Togo from 1905 onward. Until 1891, Togoland was placed under the administration of Kamerun; since 1891, it was a separate colony. In treaties with France (1897) and Britain (1899, 1904) the borders of Togo were fixed. Togo, the only German colonial possession not to be subsidized, develops slower than Germany's other colonies. In 1900 the LOME PIER was constructed, permitting bigger ships to dock. In 1905 the railway line Lome-Anecho was opened, in 1907 the line Lome-Palime. In 1912, the population was about 1,000,000, of whom about 400 were whites. When World War I broke out in 1914, the administration of Togo declared neutrality. the recognition of which was refused by the Entente powers. Togo surrenders conditionally in August 1914; the German residents were, in violation of the conditions of surrender, expropriated, interned and deported to France. 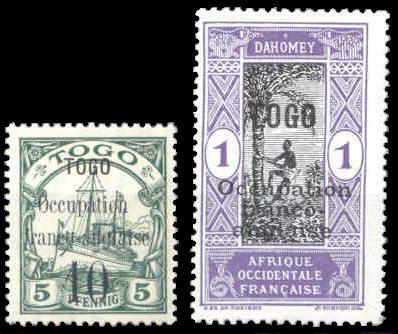 According to a secret Anglo-French memorandum, in 1916 Togo was partitioned. 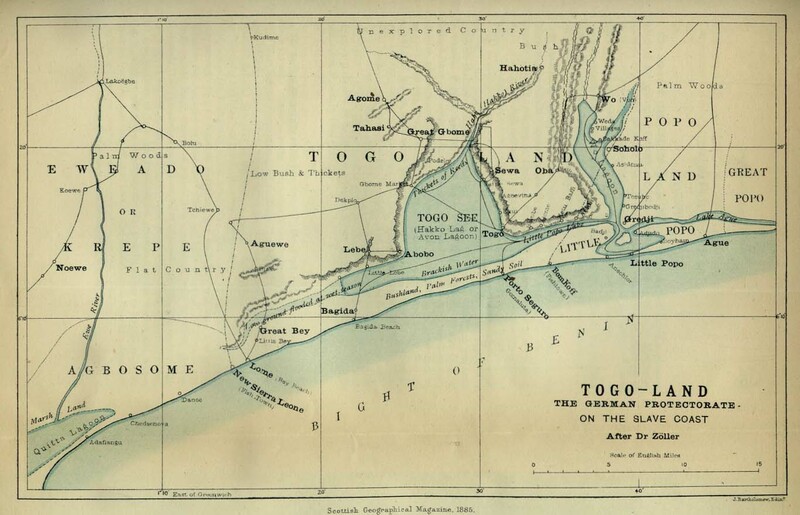 Map of the Gold Coast, 1896, has Dagombaland (N.GC/Togo) as "neutral territory"